Serving Tray for Fink’s Beer & Ale from The Fink’s Brewing Company out of Harrisburg, PA. 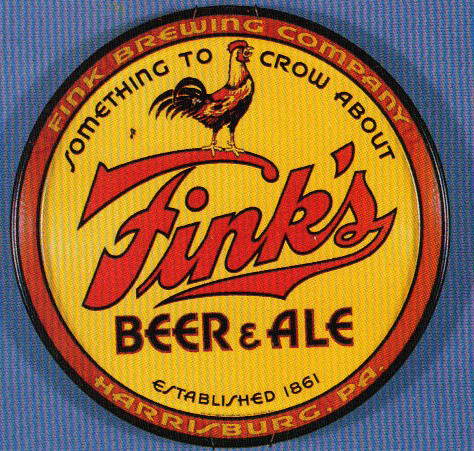 Text across the top states “Something To Crow About.” A chicken sits upon the “F” in Fink’s. Established 1861.